A smorgasbord of sausages, their popular German potato salad, and a deli-style lunch menu has made this eatery a year-round standard for locals. 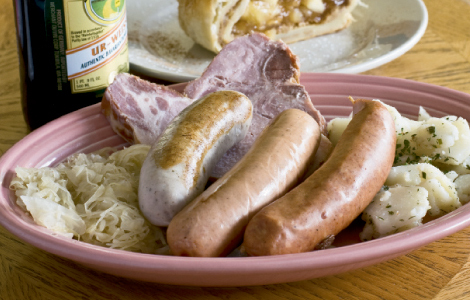 German Master Chef “Doc” Homburg has 50 years of experience in authentic Bavarian cuisine. Pair a selection from the wild game menu with a cocktail made with one of the many imported liquors.